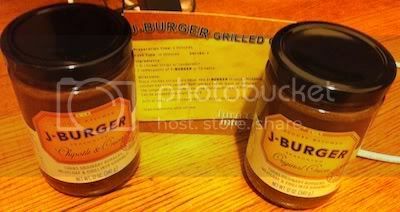 Have you heard about August Kitchen's new sauces, J-Burger Seasoning? Check out our review here. Want to buy it? J-Burger Seasoning 2-pack retails for $13.49. Buy from Foodzie.com and get free shipping. Win It: August Kitchen has been generous enough to offer 1 Whirlwind of Surprises' reader 1 2-pack of J-Burger Seasoning (Chipotle and Onion, Original Onion). Open to US. Good Luck! Disclaimer: The product/s mentioned above have been sponsored by August Kitchen for the purposes of this review. No other form of compensation was received. Opinions expressed belong to Whirlwind of Surprises and are NOT influenced in any way. Please view my full disclosure. I'll bet this would be great with chicken strips. I would cook amazing burgers with mushrooms & swiss cheese. I would cook hamburgers with this. I would like to try this in my burgers of course! Yay for BBQ night! Thanks do much for the giveaway! I've never tried this before, sounds Delicious! I would love to try it on chicken breast! I would cook burgers and hamburger steaks with it.